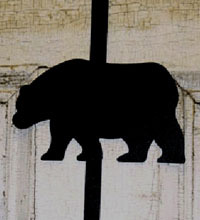 Bears are so popular in the northern and east seaboard parts of our beautiful country. Many folks favor this design! Powder coated in black and endures indoor and outdoor weather!